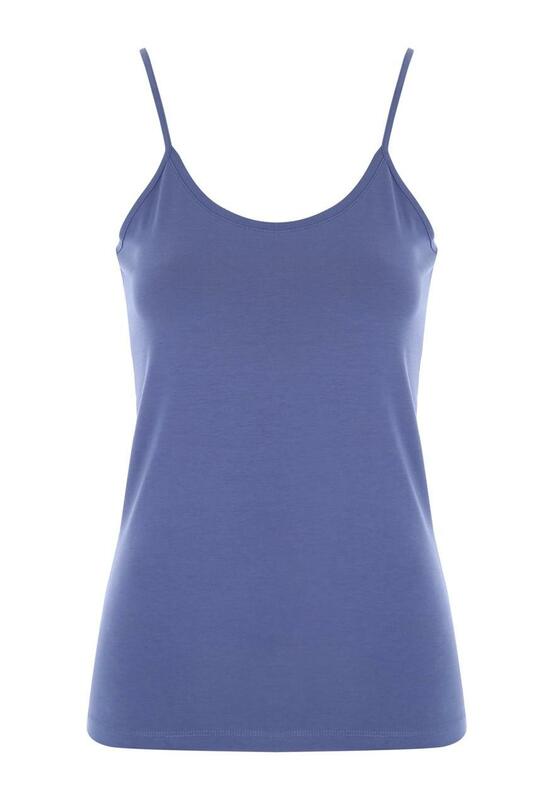 Update your collection of casualwear essentials with this cami vest. Featuring a slim fit, rounded neckline and strappy sleeves. In a vibrant blue, it's a simple addition to your wardrobe.